At Austin Options Realty in Austin, we believe in good old-fashioned hard work, attention to detail and really listening to our client’s interests and concerns. We are your premier Austin Home and Real Estate Company with many years of combined experience and the knowledge. Our Austin Realtors truly put the client’s needs first, they go out of their way to help people, they return phone calls and e-mails and they go the second mile. Rose Castro was raised on a dairy farm in Wisconsin and brings warm-hearted values to the table such as honesty, integrity, a sympathetic ear and brains. Rose worked in “Corporate America” for 16 years and brings all of her management skills to the company. She handles all the day-to-day business affairs. Dan Castro is a full-time practicing attorney, award-winning author, speaker and business consultant. Dan personally trains each of our Austin real estate agents in all legal aspects of the real estate transaction. Dan represents our clients in major commercial investments and developments. You can find out more about Dan’s book, CRITICAL CHOICES THAT CHANGE LIVES and hear him giving a motivational keynote presentation at www.dancastro.com. Buying your new Austin home is a serious venture. It can be an absolute pleasure or a massive headache. Your house is not just your home, it is a serious investment in the dwelling, the area and your future. When selling your Austin home, there are no guarantees that a buyer will simply walk through the front door. In many cases you may have to bring your home to the buyer. Effective marketing will help ensure that your property receives maximum exposure to attract a ready, willing and able buyer. The appearance of your home, a buyer’s first impression, and other considerations can also affect the sale of your Austin house. Have you considered that home prices in your neighborhood and the value of your property are also factors used for pricing your home? 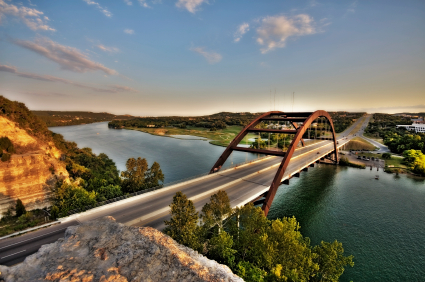 Below are some articles that you might find useful before listing your Austin house for sale. Please feel free to click on one the links to read more.